I look back at myself as a child and although I would never describe myself as athletic (I was one of those kids who would do anything to get out of cross country), I did really enjoy team sports and until I was around aged 12 I played netball and hockey for our school team. We didn't have a home computer or even a TV in our own bedroom to distract us back then and I'd spend every weekend playing out with my friends. I have fond memories of spending hours at our local tennis courts in the summer and I used to love wearing my Adidas tennis skirt (wish I had a photo) and thinking I was going to make it as a pro tennis star. I even used to keep my spare tennis balls in my skirt waistband just like the players on TV. 20 ish years later and times have changed so much. I try and fill Heidi's life with positive female role models and want her to look up to women in sport and encourage her to be strong, happy and healthy but with so many outside influences, it's not always easy. If you watch my Instagram stories, you'll know that Heidi's pretty active. As soon as she gets home from school she'll pop her roller boots on and spend her evenings skating up and down our street and she's the first to volunteer herself to climb up a tree if a ball gets stuck up there. 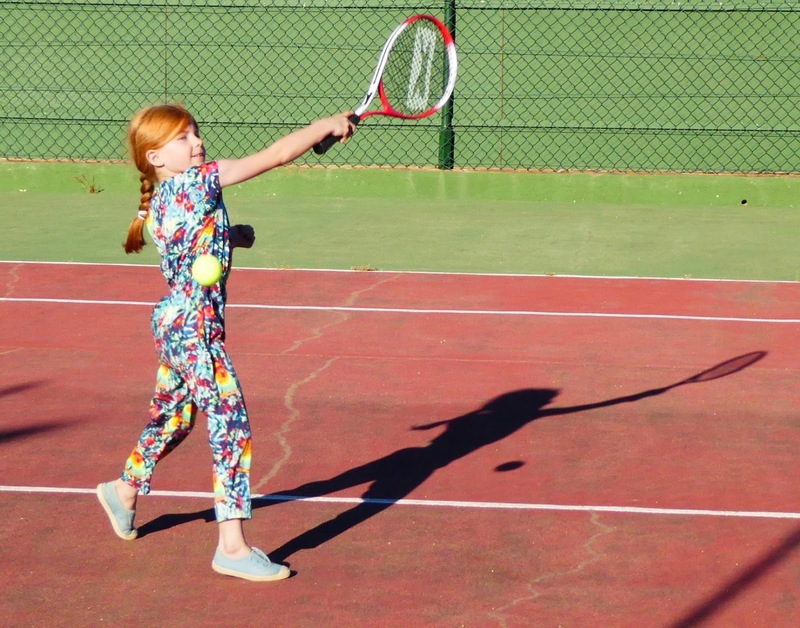 Heidi is turning 8 this month and I am really keen to encourage this sporty attitude as much as I can (and while I still can) which is why I am very interested in the Lawn Tennis Association's #TennisForKids sessions. 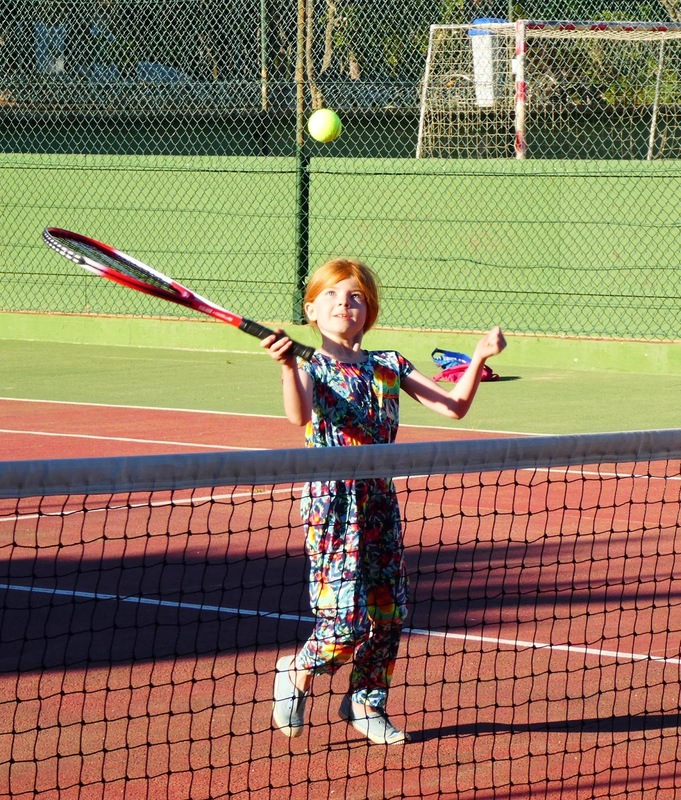 Tennis is a fun activity and something the whole family can enjoy. We loved playing together as a family last summer and as Steve and I are out of practice, we were pretty much at the same level as the kids. We're definitely planning on enjoying a few games together this summer too. We're trying to save as much cash as we can this year and clubs for the kids have been one of the things we've cut back on. At an average cost of £5 per child, sporting activities can easily set us back £15 per week which works out at £64.50 per month or £774 per year. Yikes! Anything that is free really catches my eye and is something I'm keen to get on board with. 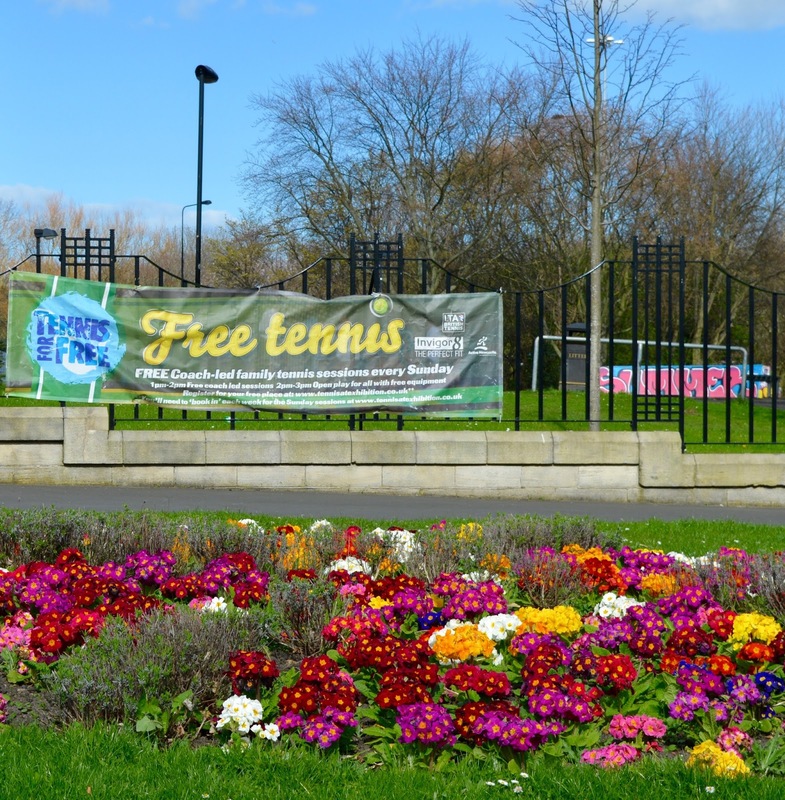 The Lawn Tennis Association are providing 20,000 FREE tennis sessions across the UK this summer. Places include a FREE tennis racket and no experience/extra equipment is necessary. Places should be pre-booked and are available on a first come, first served basis. If you're interested, make sure you sign up sooner rather than later. The #TennisForKids programme has been designed for kids who have never picked up a racket before (or have only played a couple of games like Heidi). There will be lots of games to develop hand-eye co-ordination, softer balls which have been designed for children and games will be played on smaller courts with specially trained coaches. This sounds perfect and I know it is going to be the best way to encourage Heidi into taking up and developing enthusiasm for another sport this summer. Tennis is such a fun way to build self-esteem, keep fit and have fun and we can't wait to get involved this summer. Let me know if you manage to secure a free place for your kids and I might see you at a tennis court soon. Disclosure: I’m working in a paid relationship with the Lawn Tennis Association on their #TennisForKids campaign. This is a great idea! And something I would of loved as a kid. I'm loving Heidi's outfit btw! It's wonderful that you give her positive female role models too. I wish I lived near any of these places! What a fab idea, my little one is a bit to young for Tennis atm but definitely when he gets older. I agree with you - kids activities can soon mount up cost wise so these free sessions are excellent! It looks like Heidi really enjoyed her sessions from the photo! I'm really trying to get Liv into clubs. My parents never really supported extra curricular activities as they just didn't have the money. I definitely feel it now not having any hobbies! 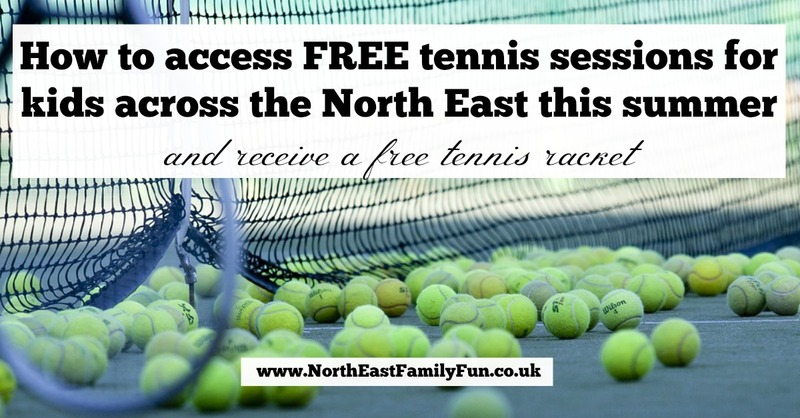 Tennis would be awesome and it's fab they're offering free spaces! If only we live closer, the train fare would cripple us! Such a great idea to try to get kids more alive during the holidays but to make activities more accessible too. Thumbs up from me! Thanks for your comment Pixie. It certainly beats playing X box! Such a fantastic idea! I grew up hating sports because I only ever did it as part of PE lessons which I couldn't stand. I wish that I'd been encouraged to do more sports for fun when i was young, I would have grown up with such a different attitude to exercise and would have learnt that playing sports can actually be fun! This is so great. So many locations and it's fantastic they are doing it for free. I might sign Arlo up. Jack can't wait to take his lessons, he is super active I am hoping it helps get rid of some energy that he seems to have endless amounts of. Tennis For Kids is such a great initiative isn't it. Nothing better than a 6 week tennis course with a racket that's absolutely free! Mine gained a lot for the programme last year. It's brilliant that it's free, and they get a free racket - I'm sure that will help loads of youngsters into the sport. sounds like there are loads of venues to choose from where you are. I have to admit that I was impressed with the choice of dates and venues near us too. Booked my daughter on straight away! We loved our tennis sessions last year, they are definitely worth signing up for.